Calva Louise - I Heard A Cry. 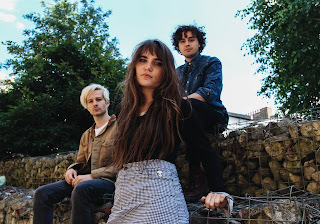 Background - London newcomers Calva Louise launch pulsating new anthem I Heard A Cry, offering another glimpse of the trio’s unbridled potential ahead of their debut album release early next year. Having developed a fierce live reputation within London’s flourishing punk scene, the chaotic garage rockers have since earned support slots alongside the likes of Albert Hammond Jr, Spring King and Anteros and will be heading off on tour with label-mates The Blinders later this autumn. In their newest cut, two minutes of boundless energy showcasing a band brimming with potential, the three-piece lay down a real marker and reinforce why they’ve received extensive backing throughout the online community (Clash, Dork) and across the airwaves (BBC Radio 1, BBC 6 Music, Radio X). Discussing their upcoming release, the outfit stated: “I Heard A Cry deals with the misinformation we often feel regarding what’s happening elsewhere in the world. But at the same time, it’s about the will of many people who are trying to inform themselves”. TWITTER. Back in July we shared the track 'Outrageous' from Calva Louise and 'I Heard A Cry' is another feisty garage rocker from the band. Masses of energy and attitude is one thing (and there is plenty of that), however this song comes armed with a salvo of enticing hooks and at just over two minutes duration, hitting repeat play is as compulsive as it is instinctive. 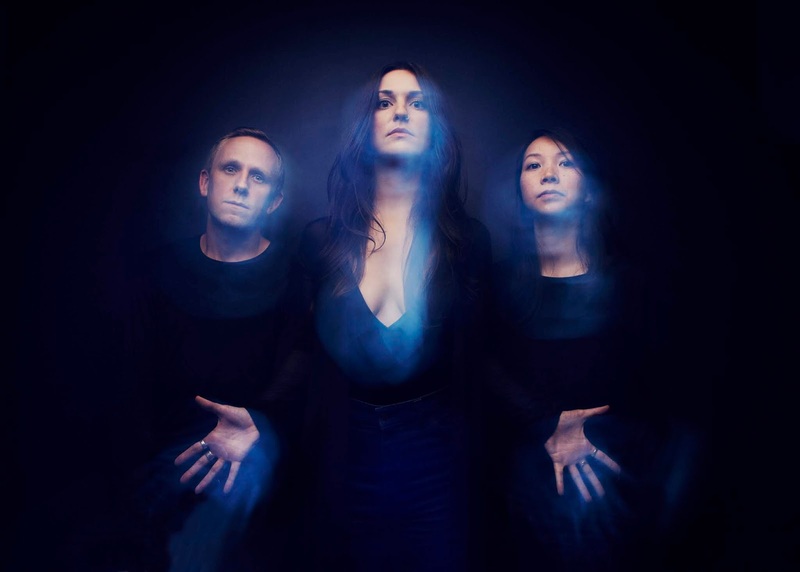 Background - Formed in 2011 in Brooklyn, New York, three-piece Vaureen are anything but straight-forward. Combining the off-kilter fuzz of mid-90’s grunge aligned against abreactive passages of noise, left-of-centre shoegaze and the bleak doom of psych-infused stoner rock, Vaureen create a brooding, nihilistic sound, steeped in a raw energy and honesty that could shake even the most apathetic listener. With an acclaimed EP behind them along with a number of US live dates under their belt, the band are now set to release their debut album ‘Extraterra’. 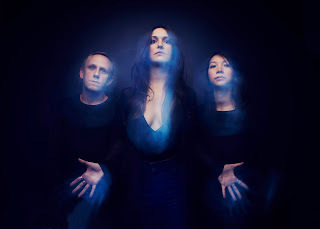 Vaureen’s forthcoming album exhibits their unique brand of ethereal yet intensely foreboding alt-rock, which could be equated to the sound of early-The Breeders meets Fugazi meets Chelsea Wolfe meets The Sword. Tracks such as ‘Stare Into The Sun’ showcase vocalist Andrea Horne’s sonorous and dynamic vocals while stripped back instrumentation seamlessly transforms into atmospheric shoegaze infused post-rock, driven forward by a powerful rhythm section. The entire album is flooded with progressive moments like this with songs evolving at every opportunity. You’d be forgiven for thinking the band might have some affiliation with Sargent House, but despite having these moments of beguiling familiarity their music remains entirely distinctive. Elsewhere, you can hear a much heavier set of influences such as on ‘Forms Beyond My Own’, where fuzz laced guitars descend into doom-inspired riffs, becoming more caustic, whilst also hinting at their more experimental influences. Debut albums boasting the dexterity of ‘Extraterra’ are extremely rare. Vaureen refuse strict categorisation and in doing so have produced an incredibly textured record, which is all at once dark, pensive, expansive and airy, and will appeal to many both on and beneath the surface. The new album 'Extraterra' due out 26th October via Rising Pulse Records. WEBSITE. Pretty much a month to the day since we first encountered Vaureen they return with 'Secret'. Fuzzy guitars build a shoegaze orientated wall of sound, that mellows just a little when the sweeping and atmospheric vocals kick in, this is powerful and impressive music. Eliza Shaddad - Just Goes To Show. Background - Following recent singles ‘White Lines’, ‘My Body’ and ‘This Is My Cue’, 'Just Goes To Show' is the anthemic new cut from Eliza Shaddad’s eagerly-anticipated debut album Future. Like singing the words of her own secret diary aloud, Eliza’s personal truth is laid bare through her smouldering vocals alongside foggy swathes of vintage 90s guitar. Bringing together the brooding melancholy of The Cranberries, Wolf Alice’s understated ferocity and the sincerity of Marika Hackman, the song’s drive will wound and kiss everything better. Returning to the wildest depths of Devon for Future’s recording sessions, Eliza reunited with Mercury-nominated producer Chris Bond, who had worked on her earlier Run and Waters EPs, to give this track its heady post-rock charm. Equally at home in libraries perusing Scottish murder ballads and sat under baobab trees decoding Arabic scales, Eliza’s music exists through discovery of the world around her. Whether culled from her travels as a nomadic solo musician, touring with jazz group Hansu-Tori, adventures through pop as a vocalist with Clean Bandit, experiencing folk festivals in her teens, or being raised across seven countries throughout Europe and Africa by her Sudanese and Scottish parents, each song collates and celebrates a variety of musical styles. “There’s a wide and wild array of influences coming out on these tracks - typically creating huge dynamic shifts in each song so they’re going from very quiet, which I guess comes from my folk roots, to this huge wall of sound, very likely from the grunge I used to listen to growing up,” Eliza says. TWITTER. 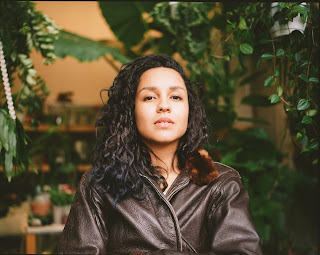 Eliza Shaddad is another artist we have featured just once before ('White Lines' back in April) and her latest single 'Just Goes To Show' is a gorgeous indie rocker that just exudes class. On the strength of the singles shared so far, her debut album is looking very good, to say the least! Background - Julie Kember shares revealing new single 'Undone' from her upcoming album 'Million Lives'. With critical acclaim, chart success, international TV syncing and awards a-plenty, it is hard not to see Australian songstress Julie Kember as a bona fide overachiever. The beating heart of all her wild success is wonderful music that touches the soul. Built around the gorgeous timbre of her voice, Kember's songs are majestically poetic, cinematic and relatable – providing her with a passport to tour the world. From Tamworth and Boyup Brook, to Nannup and Nashville, Julie Kember's music is at home anywhere it touches the ground. Capturing her story in all its globetrotting glory, Julie Kember is currently preparing her new album, Million Lives. Some of her revelations on the album are deeply personal and vulnerable. Thumping blues number and first single Undone is a perfect case in point. Written under the storm cloud of anxiety, Julie took the emotion of her struggles as an artist and from them created a metaphor we can all relate to. It is a representation of both the dark tunnel of mental illness, and the light that exists at the end of it. Summoning strength and determination, Undone is the voice of encouragement. With a WAM Award for Outstanding Regional Artist, and several coveted WA Country Music Awards in her trophy cabinet, it would be easy for people to assume Julie Kember is a genre specialist. Alas, the multi-talented songwriter is better known for a more sophisticated, nuanced sound. Incorporating the best aspects of blues, soul, folk and pop, her music is versatile and creative – expanding beyond one style into a wondrous new thing all its own. Sewn throughout all of Julie Kember's deeply personal songs, this beautiful uniqueness is what makes Undone and the forthcoming Million Lives an exceptional work of art. FACEBOOK. 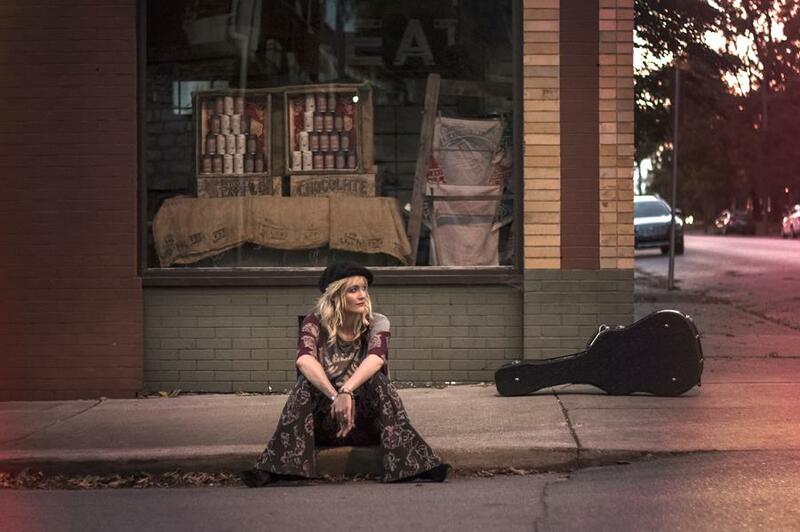 'Undone' is a fabulous alt country rocker, with Julie Kember's enticing vocals just right for the style. Passionate, mischievous and with a hint or two of attitude, this is put simply, a catchy and appealing song. Background - Hailing from Melbourne’s inner suburbs comes Mantell, an indie rock quartet set to take on the city’s ever-evolving music scene. The band offers a fresh take on the genre with an alluring mash up of diverging guitars, harmonious base lines and classic seventies drumming, contributing to their unique and modern edge. A blend of dulcet and upbeat tunes which pay homage to influences including Big Scary, The War on Drugs and Radiohead make up the self-described ‘racket’ that is Mantell. The band had humble beginnings as two brothers jamming in their suburban garage, soon joined by a cousin and a high school friend to complete the outfit. 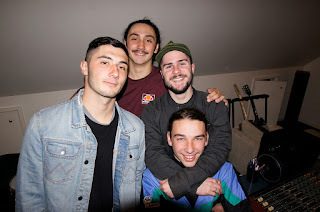 Officially formed in 2013, Quintin and Connor Tuan, Brayden Filippone and Sam Reader experimented with different styles and utilised an array of techniques before they reached their signature sound for their debut EP thirty two. The opening track Lulu was recorded at their home studio in their garage over the period of a week with a mix of vintage instruments and analogue recording equipment. Mantell’s take on old school recording techniques is a nod to the music that the boys hear on their favourite albums. Matt Stapleton (of Magic America) mixed the song and helped shape the sound with his unique approach to post production processing and effects. Lulu captures the carefree essence of youth through a nostalgic lens, with the lyrics creating an evocative narrative. The track drew some of its inspiration from the jangled guitar sound heard in Hockey Dad tracks such as ‘So Tired’. The outro features a guitar solo reminiscent of The War On Drugs- a sound which you can sing along as well as you can a vocal melody. FACEBOOK. Opening with some steady and rhythmic guitar riffs 'Lulu' seemingly upgrades as soon as the sweeping and melodic vocals begin. The clever synth driven reprise and classic rock drumming throughout add even more, and as my first listen to Mantell, this is a real delight to hear. Jesika von Rabbit - Calypso Facto. Background - Jesika von Rabbit releases Dessert Rock, and the LP title is a funny play on the name of the synth-infused singer-songwriter's home in the California desert. 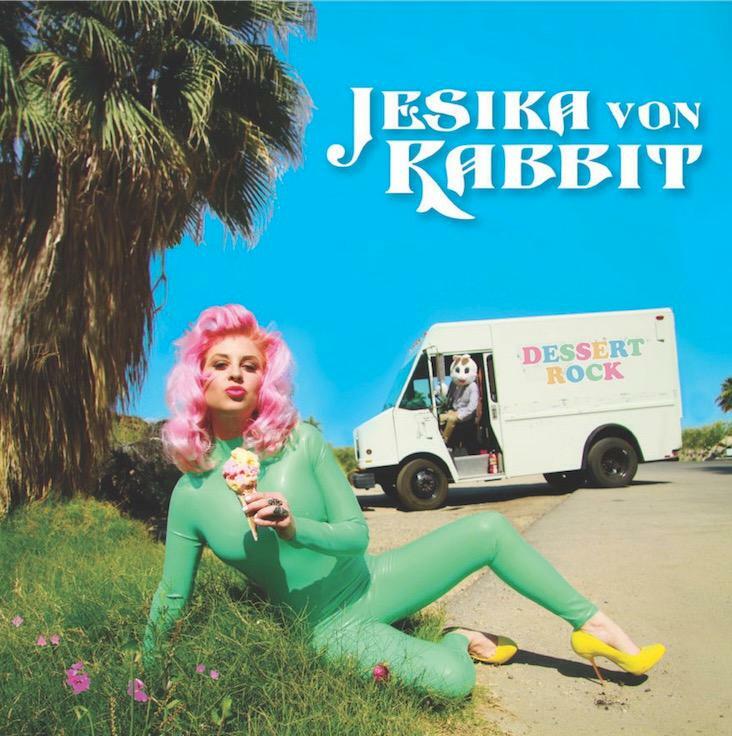 Known as "Queen of the Hi Desert," Jesika von Rabbit has been making fun music about her beloved desert region, but this time she takes a few pokes at her quirky surroundings. Jesika von Rabbit has a great outlook on life and sense of humor that keeps her fans clamoring and a sense of music that people respond to. Her music has been called enlightening upbeat pop by the critics and her work is familiar to TV watchers, as her catchy tunes are often used on series and TV commercials. The album opens with the upbeat "Calypso Facto," moves into the social commentary "Palm Springs Livin'," before wending its way through the rest of the selections, all of which are related to her own life. "Dessert Rock is built on the themes of freedom, adventure and little darkness that all stem frpm personal experience," von Rabbit said. "We all have hard times once in a while but hopefully the good times outshine the rest. Our music is fun with a message. We want the people to have fun and think, too." WEBSITE.